Well, it was bound to happen eventually: The Vampire Diaries finally had an episode I didn’t really love. It had all of the elements of classic TVD—scheming, plotting, double crossing, twists, lies, and, of course, a party—but this time, those many parts just didn’t come together to create a satisfying whole. One of the things I always admire about the show is how deftly the writers navigate plotlines without ever letting the audience see the strings. Tonight, for the first time, I feel like the strings were all around us, and at any moment, we could just reach up and pull, causing the entire story to unravel like Weezer’s sweater. This is not a good thing. Let’s start with the structure, which was kind of a mess. It opened in medias res, which would be fine if it added to the story in any way, but it does not. It seems to exist only to throw the audience off for a moment before flashing back to an hour earlier, when the action of the episode fully kicks in and the in medias res is completely forgotten. Although the device is somewhat tired due to overuse (mostly at the hands of J.J. Abrams), it can be highly effective when done correctly. Here, it just felt unnecessary and distracting. The writers might have been attempting to tie the in medias res device to the extended flashback we see through the eyes of Katherine at the end of the episode, to make a point that what you see isn’t what you get with anyone’s plans on this show, but after seeing that demonstrated over and over again, we know this. Clumsy narrative tricks aren’t necessary. 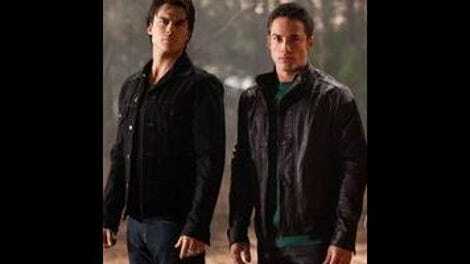 Another problem was how easy it was to predict the failure of Elena and Damon’s plan. Of course it wasn’t going to work. The show has no desire to trade Klaus for Mikael, so there wasn’t any suspense in wondering if Klaus would be killed. Therefore, the story of their plan and everything leading up to it was simply a waiting game by the audience just to see exactly how it would go wrong. Also, Klaus’ hybrid army really didn’t feel like all that much of a threat, seeing as they were so easily taken out by two simple wolfsbane grenades. Katherine’s involvement wasn’t even really much of a shock, as the refusal to even mention her name in the episode obviously meant she would be stepping in for Elena at some point in the plan. You don’t have a doppelganger in your pocket and not use it. This brings me to my biggest sticking point of the entire episode: Katherine and Stefan’s scheme to save Klaus and then set Stefan on a pathway of revenge against him. Katherine gave Stefan the hard sell about her desire to save his humanity and Damon’s life, blaming her own errant humanity as the culprit. She even tells him she did love Damon, which is absolutely in contradiction to anything she’s ever said and done on the show before. Was she playing an angle? Why in the world would she want to save Damon over Klaus, when saving Klaus means she’s automatically on the run again? This version of Katherine was diametrically opposed to every version of Katherine we’ve seen before, and it was disorienting. Stefan choosing to save Damon even without his humanity was a nice touch, even if it was no real surprise, as their inability to let the other one die is both of their defining characteristic. 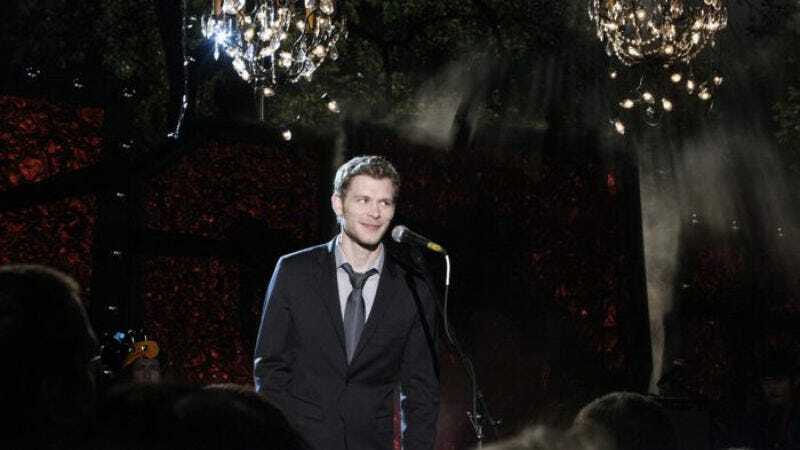 His decision to immediately start antagonizing Klaus, however, feels writerly and designed only to give the audience a nice good cliffhanger to contemplate over the hiatus. I’m sure there is more to Katherine and Stefan’s plan that what we were shown. It will probably likely all make sense. But as presented here, it felt arbitrary and like a twist for the sake of a twist, which is something The Vampire Diaries has steadfastly avoided up until this point. It is concerning. The tone of this might not entirely be in sync with the grade. It’s tricky, because this wasn’t a terrible episode of television by any means. TVD honestly hasn’t had a flat-out bad episode since the very beginning of season one. “Homecoming” was entertaining, it had some great acting, a few legitimate surprises—Elena stabbing Rebekah, anyone?—and the spectacle of it all was pretty fun. All of those things just weren’t enough to overcome the problems. There is a school of thought that a show teaches you how to watch it, and TVD has taught us exactly what a stellar, tight, exciting show it can be week after week. Therefore, when the show doesn’t quite hit those heights, it is immediately apparent. Previous excellence causes standards to be raised, and tonight just didn’t live up to the very lofty standards the show has set for itself. In the end, despite my reservations about this episode I trust these writers as much or more than any other writing staff on television. I trust that even though the setup of Stefan vs. Klaus was clumsy, they can make the execution of the story sing. It’s just unfortunate what was a stellar third season so far is headed into a two month hiatus on a bit of a down note. Until January, friends! Stefan better call Emily Thorne on the hiatus to get some advice on revenging. Damon ripping a heart out is always a good time. Claire Holt is doing wonderful, thoughtful work as Rebekah. Can someone please take the dagger out of her? And also Elijah? You know, while you’re at it. Uh, where was Alaric? I know the show needs to watch its budget, but there’s just no way he wouldn’t be a part of plotting to take down Klaus. Not gonna lie, I’m pretty disappointed someone didn’t turn My Morning Jacket into vampires. What do we think about Tyler and Caroline? I was a big supporter of their relationship at the beginning, but the show really hasn’t found a good way to integrate them into the main storyline this season. As a huge Caroline fan, this has been disappointing.